Rated 5 out of 5 by Kirland from Awesome, Fun & Different I really enjoyed by Kingdom of Aurelia: Mystery of the Poisoned Dagger. What I liked most about this game was it was so imaginative. Each scene had lots of hidden things to search for. 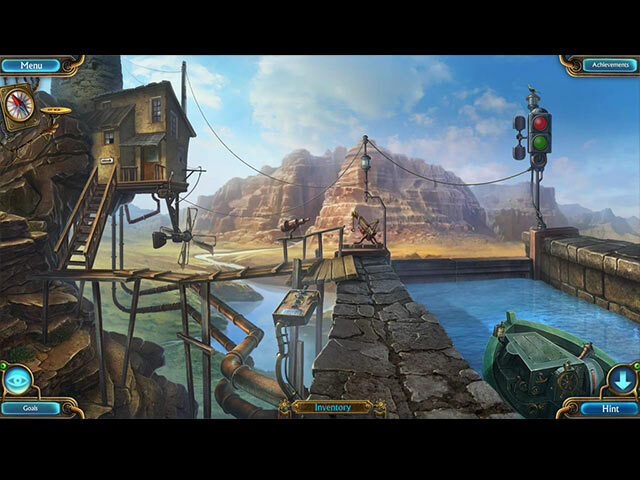 Colorful graphics with impressive scenery and interesting characters. Reminded me of the Mortimer Beckett game characters. Helpful jump map. Some of the best puzzles I have played in a while plus fun Hidden Object scenes that played like a puzzle. Lots of fun. I hope you try this game. Rated 5 out of 5 by desertsombra from An Excellent Fun Fantasy game I Beta tested this game, been waiting for it. Boy too bad they shorten and downgraded this game from a C. E. I love this kind of games with gadgets and robots. They need to do some more like this game. Not all games should last forever and ever, gets boring when they elongate games by putting too much on them. This Game is perfect for everyone who likes to have fun and play relax games!! Rated 5 out of 5 by LosAngeHell from One of the Best Adventure Games on BigFish Like the other reviewers, I loved this game for its gorgeous graphics, fun play, loads of games and playful, humorous tone. Well done, devs! I can't wait to play your next game. Rated 5 out of 5 by ethan1404 from Great mid-week game! What a lovely surprise ... a great SE game and could finally use one of my many accumulating coupons! I usually stay with CE games but love surprises like this! I do believe this game had the quality the be made into a CE game so encourage the DEV's to keep going as they did a wonderful job ... shame it had to end! I loved the graphics, loved the puzzles and best of all, very few HO moments ... what a breathe of fresh air! More please BFG ... it was great to have a nice game to play inbetween waiting for CE releases ... and losing so many coupons that run out of time because very little is offered during the week in this genre! Great game, you will love it especially if you have a coupon or two waiting to be used! Rated 5 out of 5 by jocasta1 from Great SE game! I really enjoyed playing the demo of this game, and will buy it with a game punch code. It is a very well made game, with a lot of attention to detail...every scene looks good and has inventive interaction. It feels to me like a lot of games lately could have used some editing, but this one shows a lot of creative love! Rated 5 out of 5 by BooksandGameFan from The Renaissance meets Steampunk! I found this little gem yesterday morning, and decided to give it a try, boy am I glad I did it was fantastic! Join Sam, a boy of thirteen years old, and find out who poisoned your friend Princess Aurora! Let's embark on an amazing adventure in the Kingdom of Aurelia. Just as this incredible world entered into an epoch of the Renaissance and technological development, a plot directed against the royal family is discovered. It's up to you to find the villain who poisoned the princess so you can rescue her. Use advanced technologies to help you on your quest, including a helpful little robot named Tim and a unique device which can read the thoughts of any character! It's sort of steampunk meets the Renaissance meets the tech. era. The scenes are very clear and enjoyable to look at. You get to tinker and build things which I love, I just wish they made it a tad more difficult. The game flows nicely you keep moving forward and you don't carry too many items in your inventory for very long, a definite bonus! The games and Hogs are fun. This game is made by the same team that brought us the ever fantastic and funny ~Witch's Pranks: Frog's Fortune!~ I think this game is as good if not better than 95% of the recent games I've tried out by the big box game designers. Sometimes less is more and that is the case with this game! I find myself rushing to finish my work so I can get back to playing this game and I can't really remember the last time that happened to me. I highly suggest you at least give this game a try, I think you will enjoy it! Rated 5 out of 5 by gyanda from What a cutie!!! What a cute game this is! It is so entertaining the way it is built. It's adorable and wonderful, i loved especially the cat as a door opener :-). Glad, i gave this one a chance, it is brilliant!!! Rated 5 out of 5 by grand1844 from great value for the price. well developed game. Loved the game, graphics are clear and crisp. puzzles are a minor challenge but not difficuly if you stop and think about them. The game ran without a single hitch and even though you think you are finished with a sceen, look around carefully. A well valued game for a SC price. Rated 5 out of 5 by ackpfft from Excellent SE Game! Wow. If only every SE game were this good. I used a coupon, and I swear it was the best use of a coupon ever! If you've been holding on to yours waiting for something half way decent, this is the one. Even had I not had a coupon, I would've bought this. I don't want to blather on about every detail of the game, but I will say the graphics and story line are terrific! Do yourselves a favor and at least give this a go with the trial. Rated 5 out of 5 by Penguin29 from Just FANTASTIC I was playing the demo and then all of a sudden it was over... cannot believe it went that fast - I was REALLY enjoying this game. A must buy for me. Graphics are fabulous (reminder me of Mortimer Becket). A must try for all. Rated 5 out of 5 by snapnhiss from Beautifully made The game mechanics are the best I've ever seen, everything is logically laid out, the artwork is beautiful (although the CG characters aren't very attractive) and even the voice acting is well done. This is easily as good as most of the CEs from the big name developers, and better in many cases. I'm struck by the attention to detail that went into this, it's really beautifully crafted and a pleasure to play. Rated 5 out of 5 by hzwife4evr from Excellent Game! Be Sure to Give it a Try! I usually buy the 'Collector Edition' games. Normally when a game like this comes out that has no CE I don't even stop and look. The title caught my eye so I opened it, looked at the pics and video clip. I was pretty sure that this was something that I would enjoy and I was right. I knew within the first 10 minutes that I was going to purchase this game. I don't submit reviews for games very often but I felt like this SE game that truly plays like a CE game deserved these 5 Stars and this great review!! The game has 4 difficulty levels, Casual, Advanced, Expert and Custom. There are no collectible objects or morphing items but once I started playing, I really didn't miss them. The graphics and fantastic, background music is pleasant and easy to listen to without interfering with game play. Sound effects and the voice overs are really great! So those of you that mostly CE players as well as the rest of us, give this great game a chance and you will not be disappointed!! Rated 4 out of 5 by campingramps from Nice flowing game I have played games from this company before and have enjoyed them. This was no different. Nice simple story line that keeps moving and doesn't dwell in one place finding objects that have no bearing on the story line. The graphics are good and are not dark and sinister as some game makers seem to think that is what we want. Not me, I would rather have bright and distinct so I can actually find the hidden objects. The only real complaint I might have is when talking to someone, there responses are too long and maybe a little youngish. Other than that, i enjoyed this game. I would recommend this for those who don't like the dark scenes in other games and want flowing stories. Demo ended too soon. Rated 4 out of 5 by grammakk from ok you are fine now loved the drawn characters in this game story was ok just hated the abrupt ending. colorful and sound were good a good game to pass the time ..finally. recommend the demo. Rated 4 out of 5 by dancemom1 from Nice, lazy day game... Hi all! Just gave this SE a try and was pleasantly surprised. The graphics weren't bad, but looked as though they were overlaid to a stationary background. Colors were a bit muted, but were pretty nice just the same. Game play was very nice, with no problems during the demo at all. Voice overs, although few and far between, were well done and were age and character appropriate. Music was quite soothing. Sound FX are nicely done as well. HOPs are interactive silhouettes, e.g., find a part and use it in the HOP to find another useful part. I only ran across two during the demo, which was quite short. The HOPs are clean and items are not difficult to find, or figure out where they are to be used next. Puzzles also are not many and not difficult. I did like how you find something near by and use it, rather than run around all over the place and gather multitudes of items before using them. Hint system is helpful and it does transport to longer locations. I did find using the "eye" to be a lot more help than I really wanted, so only tried is once. This game is quite easy to follow, so unless you are a beginner, you probably won't use it. You do have a helper in the way of a robot by the name of Tim. Tim is quite helpful in reaching items that are too high for you. He is very quiet and sits on his perch until he is needed. Even then, he is quiet. This is not a challenging game, but one that is well done and perfect for one of those lazy days when you just want to relax and play a nice simple game. I think we all have those days. Yes, I am going to use a coupon and add this game to my collection. As always, try it for yourself and see what you think. We all have different tastes in games and you may not care for this one at all. Thanks for the reviews. Rated 4 out of 5 by Totty_Tara from Im saving another Princess??? I have only played the demo so far but i already love this game, despite being sure I have played it before a long time ago! The storyline is not new but then if someone came up with a really new story they'd probably sell it to a film company and make much more money so my expectations on that front are always fairly low., The graphics are good, the music unobtrusive and the HOSs nicely done - so far they seem to be of the type where you find an object and use it to acces another object etc etc. Everything seems to be well thought out and logical which makes a refreshing change - I get so fed up with things being hidden in ridiculous places and the most unlikely objects being used to perform tasks they are not drsigned for and probaby incapable of carrying out! Also, for once, a useful object is held onto instead of forever having to find yet another screwdriver or whatever for the third time because last time you used one you threw it away! The voiceovers are decent and in sync with the graphics which is good. All in all I have really enjoyed playing this game so far and will be buying it but that is only my opinion and I suggest you try the demo first to see if you agree. Rated 4 out of 5 by pennmom36 from A MAN OF MANY FACES IS WATCHING YOU When Sam was born twelve years ago, the Royal Kingdom of Aurelia was captured by tyrants, and the entire Royal Family was imprisoned, well, almost everyone. Sam's cousin, Princess Aurora, managed to escape unnoticed for 12 years! With the help of the Great Magician, Pharion who lives in the Ancient Forest, they were able to overthrow the Tyrants and take back the Kingdom. But the young Princess was still naive, and allowed an old man to read her palm. Instead of reading her palm, the stranger sliced open her hand with a poisoned dagger and Princess Aurora fell gravely ill, the old man fled, but unknowingly left behind an amulet. With no cure to save her life the King turns to young Sam asking him to find the person responsible and hopefully the antidote as well. Sam may only be 12 years old, but he is proving himself to be quite mature on this epic journey to save his cousin's life, as he faces many dangers,and learns that no one can be trusted. This is a strange game, the steampunk graphics to me are cold and impersonal because everything is mechanical yet old fashioned, similar to the Clockwork and Ink games. There are two icons available, the Eye icon will show you all active areas within that scene and the Return icon will take you back to the previous scene, but you can still click the bottom of the screen as usual to go back one scene. Throughout the game you will come across several Diary note pages from the Royal Treasury about their ongoing investigation of stolen dangerous artifacts. Among these artifacts were a Cursed Dagger and the Amulet of Transformation which will give the owner complete control of the victim's mind after a ritual has been performed,so time is of the essence for the Princess. Tim the flying robot is going to be your right hand man on this royal mission, whose ability to fly to unreachable areas will be a tremendous help, but he isn't used as much as you'd think, and he's neither cuddly or cute, and in my opinion unnecessary. The final device you eventually receive is a Mindscope which allows you to read the thoughts of anything, including robots, which don't really have any thoughts, right? 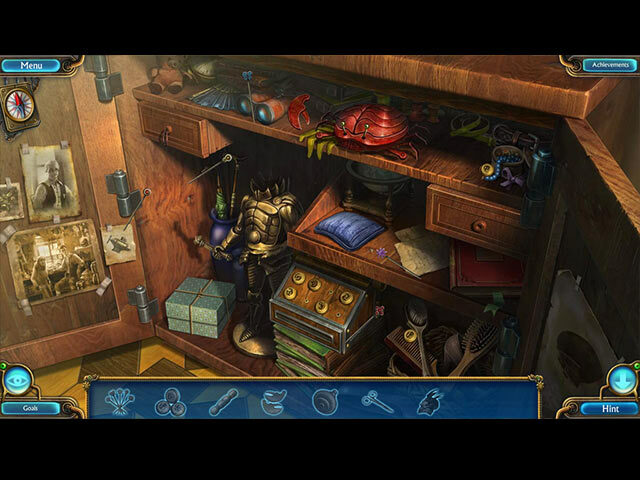 The Hidden Object Scenes are all about the same, most are Interactive, Progressive Silhouetted Shape finds where you find the first item that matches the Silhouetted Shape and then use that item back in the scene interactively to expose the next scene and so forth. I did enjoy the one that had listed items to find on a mechanical mural. When you click on the item that matches the listed word, the item doesn't disappear, but it tilts to the side. If you make a mistake however and pick a wrong item, all of the correct choices reset and you have to start over from the beginning, very clever. There are a lot of Mini Games some of which are decent, others are too simple. Below are brief descriptions of some of the games you'll encounter during the demo: 1) Rotate the inner circle until the runes match the ones on the outer circle. 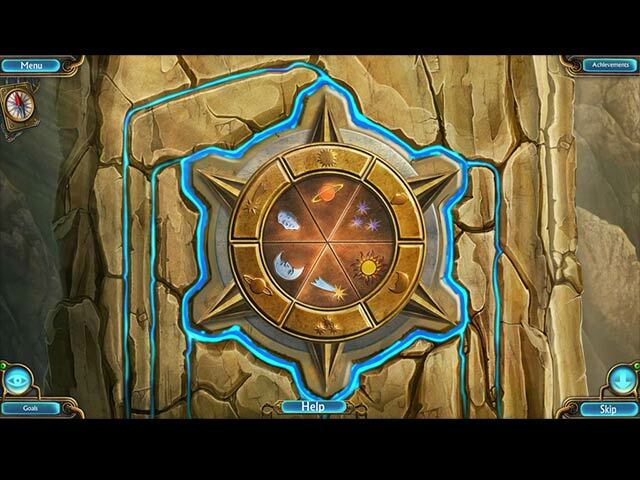 2) Set clock hands to the correct time according to the clues you found earlier. 3) Click on the countries in the same order as the flags as displayed in a clue found earlier. 4) Crush all the crabs in the mouth of a mechanical alligator by chasing the crabs towards the gator's mouth by clicking near the crabs to direct them. 5) Repair the mechanical soldiers' head using the part correctly. 6) Swap cats and mice to the opposite sides, cats and mice can only move forward. 7) Move the bulbs so that the red ones match the red circles and the green ones match the green circles. This game uses the first person aspect as you play as the character Sam, presumably to make it more personable, but for me, the graphics make it hard to get into the game as if you were part of it, but maybe that's just me. I must admit, I was a little baffled by some of the graphics in this game. It seems to take place in "ye olden days" yet there are robots, flying machines, mechanical spies and even a fire hydrant which is near the horse stables that are supposedly used for transportation as you'd expect. This game does have an interesting storyline, and there are lot's of mechanical gadgets to tinker with, and you can even earn Achievements. In my opinion this game is worthy of using a credit or coupon on at the very least, enjoy! Rated 3 out of 5 by FionaPa from Lots of potential but not ready to publish This game seemed promising during the demo, but I now regret buying it. As you progress into the game, the text becomes less and less understandable as English and the game seems to seize up sometimes. I won't finish this one. Rated 3 out of 5 by emollie26 from Not another? Part demo only. Story was, well... I've no idea, really! Seemed hitty missy. Graphics & colours were ok, though some scenes were hazy ish. Probably intentional? Didn't come across any glitches, in the short time I played. Can use system cursor. I won't be buying this one, as shock, horror, here we go again - a blinking helper! Shame really, as it's slightly different, from what I normally play. Ah well, never mind. Rated 3 out of 5 by PATinPNS from Just Not for Me This is posted after playing most of the demo. I am being generous with my rating on this game. This developer is usually one of my favorites, but this game fell short of their normal productions. It just wasn't fun to me at all. With all the goodies available, like the mind reader and others, you would think this game would be exceptional, but it isn't, to me anyway. I made it most of the way through the demo and realized this game was not for me. Graphics were well done and the sound was very good. Colors bright and clear. The mini games were okay. I actually did them for a change. In the time I played there was only one hidden object scene and it was an interactive silhouette type, my least favorite of them all, but was quite easy. There is a map which transports you and shows your next objective, whatever that may be. The mind reader shows what a robot or human is thinking. Not quite sure what good that really is, but it is there or you to use. Also, you have a flying robot helper. Yes, you read that right. Instead of an animal to do the climbing you have this robot named Tim, I believe, which retrieves high things and stuff you can't get. Cute, but ... The story just did not make sense to me. It seemed so juvenile, that perhaps my granddaughter would like it, but it just didn't tie together. I am going to recommend this game, but be sure you play the demo. One man's trash is ... well you know the rest and you might really like this one, but just not for me. Rated 3 out of 5 by BachSinger from Fair game but badly flawed! I disagree with the effusive reviews I read prior to playing this game! This game is in dire need of revision and editing! There are grammatical errors throughout, there are technical glitches (for example, the hint button sometimes puts you in a loop, indicating you to go somewhere where there is nothing to do, and when used again, the hint sends you back to where you started! ), and the logic is unclear regarding some of the dialogue and scenarios (why is there no shock or disbelief when someone the main character trusted suddenly turns against him?). This game was not ready to be released! It has promise, but the flaws are numerous! As it is, I cannot recommend the game. Once it is edited and the problems solved, it should be a pretty good product. 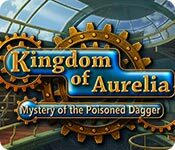 Rated 2 out of 5 by Libellulebleu from Kingdom of Aurelia, Mystery of the poison dagger Over 37 players had given their advise when I decided to give it a try. The first hour I found entertaining and the scenery quite nice. So I bought it, but what a deception!! Afterwards it was nothing but mechanical games and no scenery at all. Certainly not a game for me, as a woman. Definitly a man's game who enjoys mechanic and machines. Rated 2 out of 5 by watson13 from And Where is Kingdom and Poisoned Dagger? When you buy a game you are supposed to enjoy it: solving mini games, playing puzzles and HOGs. Here I had to repair, assemble gadgets I had idea what they should look like and for what purpose. All those valves, pipes, broken engines nonstop.The graphicsis leaves much to be desired.. As for HOGs you can hardly call collecting umpteen number of ropes and glass shards a true HOG. I got stuck with making a call from the top of the mountain. I had the number but I couldn't dial it. It took me much time to try to do it and then I consulted the game forum (I was not the only one who couldn't solve the prob). Huge thanks to the person who advised to go to Options and replace the designer cursor by a simple arrow!!!! The last straw was the accident with milk seasoned with laxative (how appropriate to find it and to add to the milk) that made the bad guy run to the WC. Our hero secured the WC door with a bar (that was within reach) and went on with his business. Why don't we all do the trick with our bosses!!!! That was the limit: I quit and deleted the game. Rated 2 out of 5 by Granny_Gruff from Now I remember the first game - didn't like it either! Sam, a young boy, is called upon by the king to travel in search of the Magician/wizard who helped liberate the kingdom once before from the bad guys. This time the princess is poisoned and Sam is the king's pick as secret agent to save the poor princess. Doesn't the king know any trustworthy grownups? Once I saw the one legged mechanic, I remembered the first game which ended with the release of the Kingdom from the bad guys. I also remembered the confused story and aggravating game mechanics as soon as I embarked on this demo. I stuck it out anyway. Good stuff: The artwork is beautifully drawn and colored, the characterizations are good, the HOPs and mini-games are OK, and there is a cutesy robot helper to reach things you can't. You also get a special Mind Reader, with which you can read any human or robot's mind. Bad stuff: About that mind reader - This is so you won't notice the places where the Devs threw in an extra puzzle to prolong the agony and couldn't explain it any other way. Case in point: The villain runs out the town gate. The robotic worm breaks the robot that presumably opens the gate, which you can't open without his help. So you repair the robot. The gate does not open. Why? Read his mind - you need to go find a halberd for him to pull down the handle to the gate - a halberd which is locked in a column in the center of the town square. So how did he open the gate for the bad guy to take off? Basically the story is as badly muddled as is every bit of technology you have to repair as you forge ahead to try to save the princess. Why steampunk in a magical land? Why a child to run off into the wild to search for help for the poisoned princess? Why ten steps back for every one forward? Please try the demo for yourself. I can't recommend the game.